Are you a list person? I would have to say, "100% yes!" to that question . I make lists for just about everything I do. Several years ago, during a lesson at church, I learned a great way to prioritize my day by making a simple list. The list looks something like this. 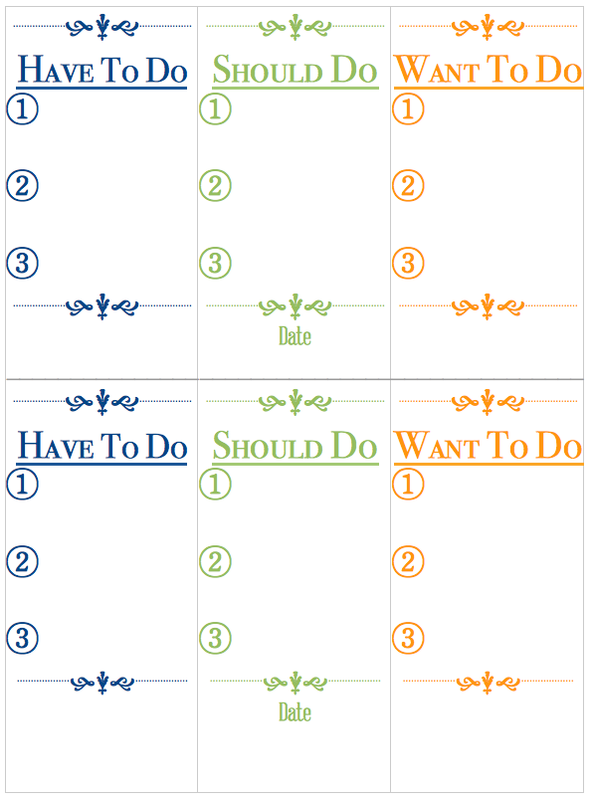 The idea is to prioritize your day into things you have to do, should do, and want to to. That lesson in church was over three years ago, and I still use this system today. I put three items under each heading. Three is a doable number for me (you may want more or less). I fill out my list every night before I go to bed for the next day. I like waking up and knowing what I have to do, should do, and want to do. My 'Have To Do' list is usually made up of tasks like, be mom, cook meals, get boys to school. Really when I look at my day, there aren't a ton of things I have to do. 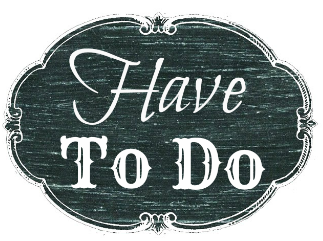 Appointments, assignments, and deadlines (when I have them) definitely go under the 'Have To Do' list for the day. 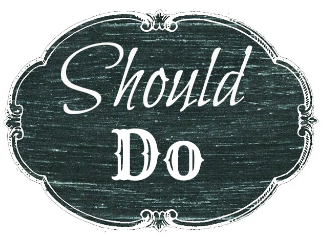 My 'Should Do' list is the list that could be miles and miles long. These are things like cleaning, organizing, laundry, writing a letter to a friend, yard work, exercise.... you get the idea. I like having three things a day that I should do. Once again, three is really doable for me. I'm not completely overwhelmed with a mile long list- just three things. And isn't it amazing how writing something down helps you actually get it done? My 'Want To Do' list is often the list I don't get around to. I do however, always move whatever I didn't get done in the day to the next day. Sometimes an item on my 'Want To Do' list gets bumped to the next day for five days in a row, but I leave it there until I get around to it. 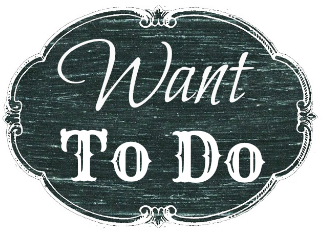 I like the 'Want To Do' list because it helps me remember to take time in the day for myself. I need it- we all need it! 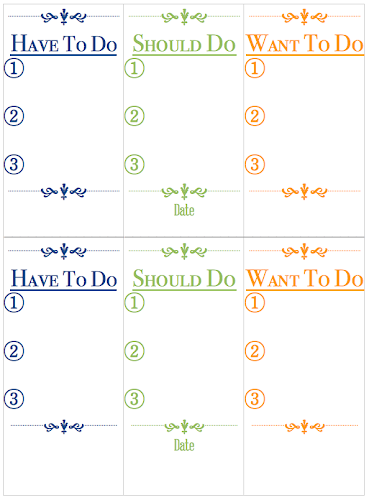 Do you organize your days, if so what are your trick? I'm always looking for new ways to use my time more wisely. Thanks so much for stopping by! I hope you found a little something worth your time. Oh, and if you've like to print my version of the list, just click here. Here's another BTW for you. We read this quote in our lesson at church that I talked about, and I LOVE it! Just thought I'd share it with you. "Time is all the capital stock there is on the earth;...if properly used, it brings that which will add to your comfort, convenience, and satisfaction. Let us consider this, and no longer sit with hands folded, wasting time." That looks like a great system! I tend to think I have sooo much I Have to-do, but as you pointed out there really aren't that many things that truly have to be done. Lots that should be done and lots that I want to do...think I will keep this in mind this week. Thanks so much for linking up at Real Family Fun. I hope to see you again next week. This was a big "Aha!" for me too. I'm glad you like it. Try it out and let me know what you think. I know everyone has their own system, but I'm pretty sold on this one. Thanks for visiting, and for having such a great place to link up! We'll see you around. It really works for me! I love visiting Mix it up Monday, I'll be back next week! Thanks so stopping by.